How many of you do remember the BMW G310 RR concept which was showcased at an official event back in the month of September 2018? That was actually a faired prototype based on the BMW G310R Roadster. Recently a Japanese motorcycle magazine in association with Aetek, a company which deals with full body cowls and fairing parts for motorcycles has taken the covers off a complete working version of that prototype and called it BMW G310 SS. 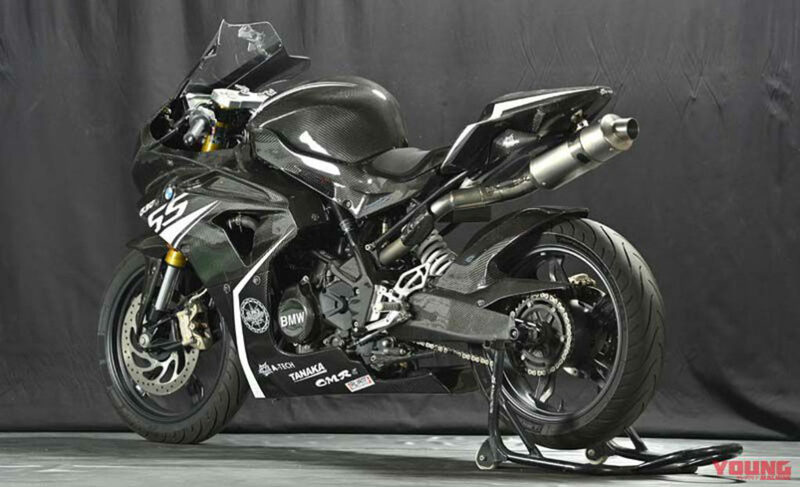 Their main aim was to create a smaller or a baby version of the strongest and the most powerful BMW Supersport S1000 RR. Underneath all the fancy body panels lies the heart of the BMW G310R which is already available in India. The exterior has been finished with a custom made fairing which has been wrapped with luxurious dry carbon. You can find the carbon fiber wrap on the fuel tank, fairing and also towards the rear panels. The front profile of the motorcycles gets the asymmetrical kind of a headlamp which can be found in the previous generation S1000 RR (the current generation gets symmetric headlamp units)and the center air duct which too has resemblance with the bigger BMW S1000RR. You can also notice the exhaust has been positioned under the seat like Moto3 styled motorcycles. Although there has been no mention anywhere about whether the motorcycle has received any changes or not to the powertrain. Thus, we can expect it to be powered by the same 313 cc, liquid-cooled, single-cylinder, four-valves, DOHC, reverse inclined engine which makes 34 PS of peak power at 9,500 rpm & 28 Nm of peak torque at 7,500 rpm. The engine is paired to a 6-speed gearbox. A 300 mm single disc at the front and a 240 mm single disc with a single-piston floating caliper at the rear does the job of bringing the motorcycle to a halt. This is the same braking setup used on the standard G310R. 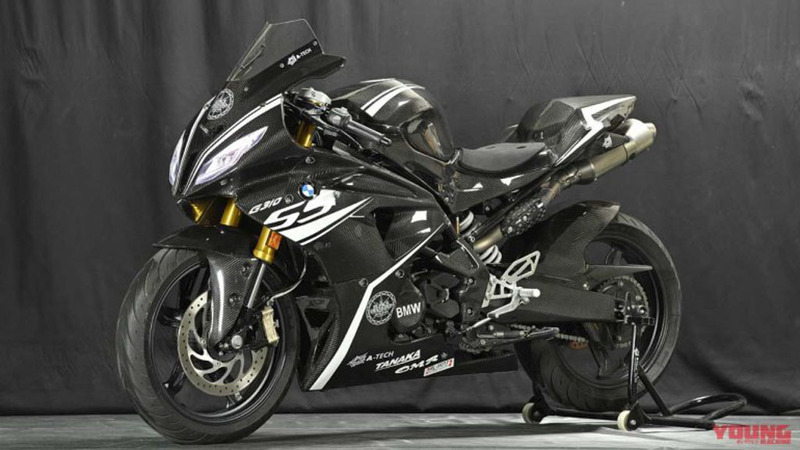 That said, this is a prototype model created by the young machine and Aetek and BMW currently has no plans of bringing a fully faired variant of their recently launched G310R Roadster anytime soon. However, if you want a fully faired offering of the G310R then the closest that you can get is by getting your hands on the TVS Apache RR310 that uses the same G310R engine to power the motorcycle.